I took a chance on this as a anniversary gift for my wife as we have a decorative fireplace (non functional) and thought this would be a great fit for it to jazz the space up with ambiance. I’m happy to report it delivers in spades! 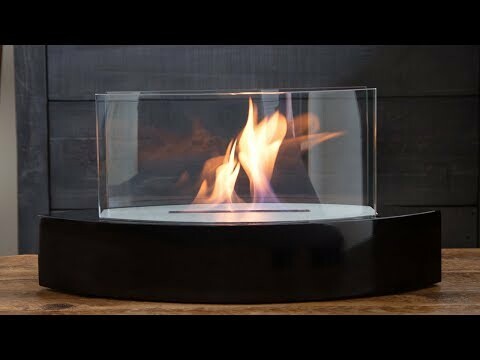 I followed the recommendations of The Grommet and the Manufacturer and got the Smart Fuel brand fuel and combined with this fireplace, it’s a winner! My wife now loves to sit in the room and read with the fire going and we enjoy sitting and chatting in there as well. Highly recommend this product! We have this outside by our hotub and my boyfriend loves it! It was a great gift and something different. Thank you! Love the table top fireplace. 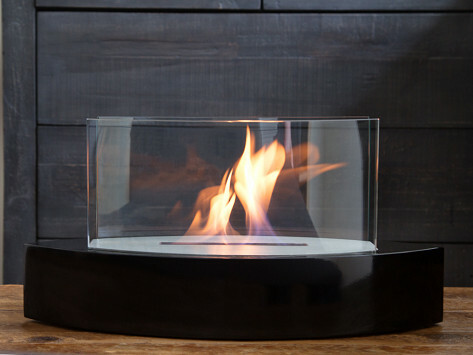 I live this table fireplace, the glass sides protect the flame.from the wind, the flame does a wonderful dance of flame. Easy to fill & extinguish. Wonderful accent to our patio table, the dancing flames are hypnotic, it does give off some heat but not much. Easy to light and extinguish. I wish they would sell a cover when not in use. Who knew we could have the experience of a fire in a small city apartment? This has made everything so cozy. A glass of wine and a movie in front of our tabletop fire...it’s the greatest! Love this for indoor and outdoor use. Amazing how it changes the mood in a space. The Lexington Tabletop Model was purchased for me as a gift. It was everything I was hoping for. Very nice quality, and added the needed ambiance to my new home. I would highly recommend. I was very scared to order something so expensive and not seeing it in person first. But I am so happy to say, this Anywhere Fireplace is so cool! I have 7 kids and very worried about an open flame, smell etc. The kids loved it, no smell and so easy to put out. Very pretty too! Thank you!